India’s first teacher’s education portal was launched by Human Resource Development Minister, Smriti Irani end of last month. The Portal specially launched for the District Institutes of Education and Training (DIETs) and it was named as ‘Prashikshak’. The portal will function with aim of strengthening the system of DIET and try to bring quality teachers to the Indian education system, which will boost the educational standards. What is the goal of launching the portal? The main objective of the launch is to help DIET in making informed and just decisions about the institutes and to compare their performance and growth. Also to let teachers share their experience in which institute to join. What is the need of a teacher’s education portal? Many people in the country feel that the education system is not good and there are many loop holes. To address this problem and to make improvements in the system this portal can be helpful. Who will use the portal? The portal will be mainly used by the pre-service teacher educators, policy makers at District, State and National level, DIET faculty and principals, and the public. Who will benefit from it? The portal will benefit the overall education system and the students of the country. It will act as an initiative to provide a better education system in India. There have been a lot of negative comments about the education system and so the HRD Minister was of the view that it is important to bring about improvement in the education system. According to her the person holding a position has the capability of changing and bringing solution to the problems. For this reason this teacher’s portal will be launched. Now the main activity of the portal will include the efficient monitoring and the management of the teaching system. The portal will have the complete database of the all the DIET institutes in the country, and will monitor their performance. It will provide a platform for the aspiring teachers to select the best career options. Since the portal will have the details of the performance of each of the institutes, the portal will allow institutes and teachers to set benchmark for others to reach. According to the HRD Minster there is no nationalized body to actually govern end monitor the quality of the central grants that was being provided o the teacher education. 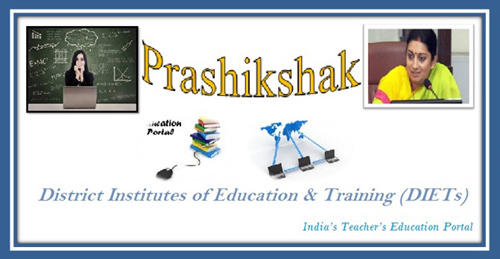 No with the launch of Prashikshak, there will a chance of setting standards in the training provided to teachers. Since the quality of teachers has been a concern in the country, the portal will try to address this issue and try to provide better teachers to the country. This portal will provide information such as benchmarks, vacancies, training, opportunities, guidance, etc. The department has also taken up initiative to conduct a survey in order to determine the number of teachers available in different areas. In this portal the parents and local people feedback and comments and suggestions will also be included in deciding national awards for teachers. The portal will also respond to suggestions that has been made for sharing information in the portal in regional languages so that people of different states can understand. It will over all try to provide an education system that is more effective and has quality teachers. The guest list of the event include the ministers of the of Education Department at national and state levels, State Education Secretaries, State Director of SCERTs, Principal DIETs, and other faculties of the department. In the event the Minister of HRD engaged in live interaction with the DIET representatives in six state including Assam, Madhya Pradesh, Maharashtra, Odisha, Telangana and Uttar Pradesh, through video conference. To know more about the event and to view the launch visit http://webcast.gov.in/MHRD.